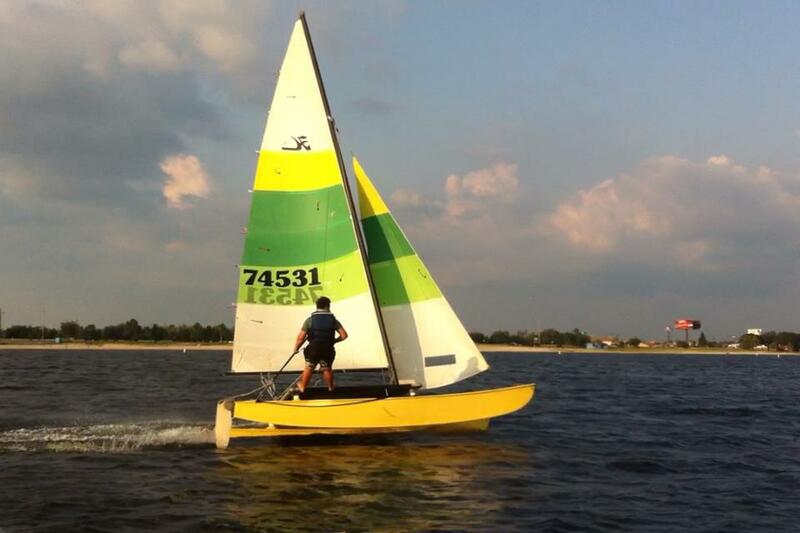 John is our newest youth guest contributor to Get Wet Sailing. Here’s his story about how he found his love for sailing. Ever since I was a little kid, I always knew I would have some sort of life on the water. When I would go to the beach, lake, pond, field, or whatever place that I went, I would always notice the wind first. I could have easily started into it when I was really young, because my grandfather would always bring me to the yacht club on Saturdays to watch the regattas and eat cheeseburgers. He is a charter member at the Lake Charles Yacht Club, because he was one of the three who started the club. In the summer of 2010, I sold my Xbox. I was tired of being a slave to the TV, and I wanted to get into an active life. My friend was taking sailing lessons, but he had to cancel because he was going to Austin, TX for that week. They offered me the spot, so I happily accepted. My first lesson was on a Sunfish and I thought that they were the coolest things in the world. I decided then to get my own membership and I started using the club boats, which were Flying Scots & Sunfish at the time. I thought they were the fastest boats in the world. There were also Hobie 16’s that the members could use. My dear friend, Mr. Charlie took me out for a ride. I had never felt so free. After a few quick lessons on the Hobie, I was cruising around the lake and feeling free. A couple of years quickly passed, and I was living the sailing life. Early in the year of 2012, while skimming through the yacht club newsletter, I browsed passed the normal stuff like board meetings, Commodore’s Corner, etc. I got to the For Sale section, and I noticed the club Hobie 16’s were for sale. Is The Hobie Cat 16 Dead?